So I realized my life is really serious. And, I’m not a terribly serious person. I’m always talking about all the things that happen in my life that are difficult to deal with because that is where I am. I sound a little like Eeyore when I’m really more like Tigger, although lately, I’ve been a bit like Piglet with my “oh dear, oh dear” attitude and a little bit like Rabbit with my “get off my lawn” grumpiness. I think maybe I should try to be more like Pooh Bear – lovable ole pudgy Pooh, minus the pudgy part. Happy go lucky Pooh – just searching for that pot of honey all the time. What’s my pot of honey? Today, sleep. Yesterday…ummm…sleep. Tomorrow, well, probably sleep. I’m kidding (well, a little bit). I think, in all seriousness, my pot of honey is Jesus. I want more of Him. I want to know Him better, love Him more and be a better Jesus freak to my family. I’m afraid I’m just freaky most of the time. In the past I’ve been heard to say, “Give me Jesus!” And, to some degree, I have meant it. I believe though that now I really want Him for the right reasons. Living over your head tends to do that to you. I’m overwhelmed by EVERYTHING, and occasionally there are things in my life, my Heffalumps, which make me want to run for the hills. Better than ever, I know that I’m weak and I think that I finally understand that in my weakness He is strong. That one always tripped me up before. I didn’t get it – I mean really didn’t get it. Today, I’m getting it. My own ability to do this life is severely hindered by my weaknesses BUT God’s strength enables me to do my life. I really can do all things through Christ who strengthens me. Things are still difficult, messy and a little a lot harried, but if I have the right perspective I think I might make it through the day with some success at the end. I might actually get to grab hold of that pot of honey and drink deep of it. Actually, since my pot of honey is Jesus – I get the blessing of drinking deep of His Word as often as possible, of sweet communion with Him whenever and wherever I can, and of tapping into His strength for each task that is before me. So often I have struggled with trying to figure out what that looks like – it looks like me praying, me studying His word, and me understanding that I simply can’t think that I can do it all. I want to do it all…I’m not sure why I do because it just stresses me out. If I could wrap my brain around the fact that God will give me what I need to do what He has called me to do…now that would be sweet peace!! I have to grab hold of my “I got this” thoughts and turn them into “He’s got this” thoughts. Then maybe my Eeyore self will stop sighing. My rabbit self will stop fussing. And my piglet self will stop fearing. My pooh self and her pot of honey will be hanging out and living life with some good ole peace and some serious joy. 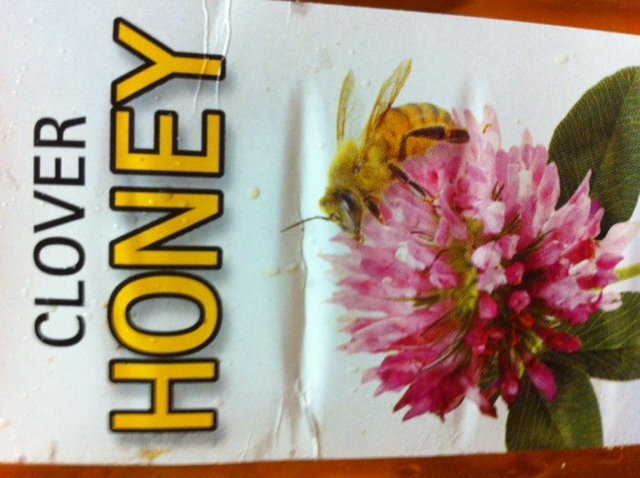 I think my pot of honey would go quite well with a cup of hot tea! That we could all find and keep that Honey Pot close … thank you!